This project is an excellent example of the Myers and Sons Construction, LP (Myers) delivering a complex project on time, utilizing preconstruction mock ups of existing conditions to create a “proof of concept” testbed. Myers was awarded this project by American Bridge / Flour. 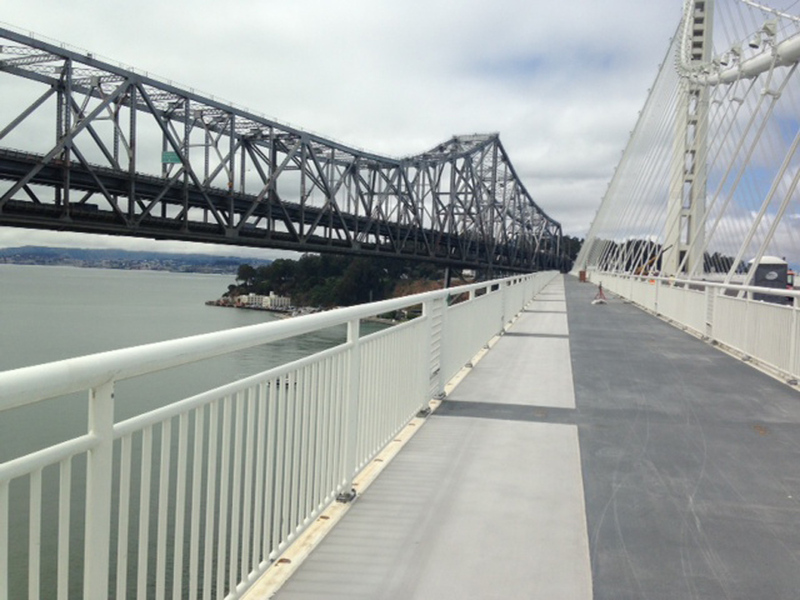 For the first time in history, pedestrians and cyclists have the chance to travel across the new East Span of the San Francisco - Oakland Bay Bridge utilizing a polyester concrete (PPC) bike path constructed by Myers & Sons Construction, LP. 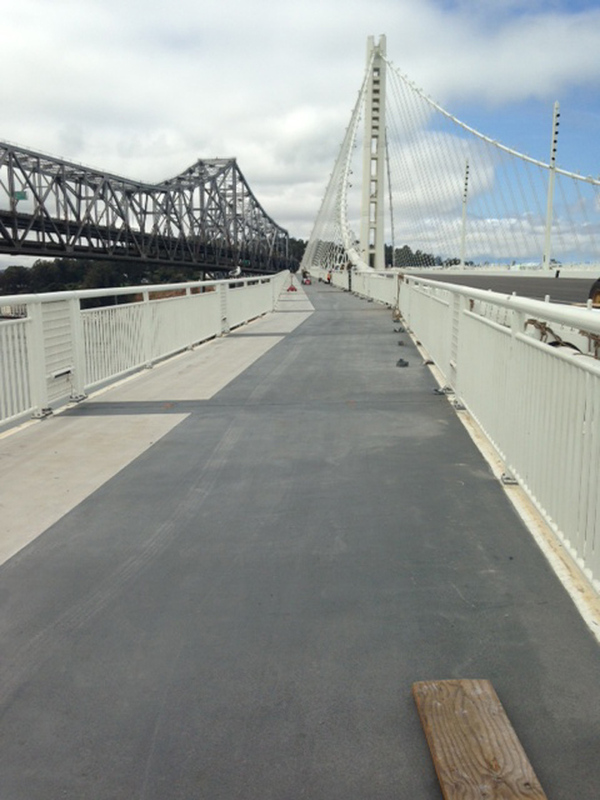 Project scope included placement of PPC pavement on 60 pre-fabricated metal panel sections of the bike path. These panel sections were constructed out of fabricated steel elements. 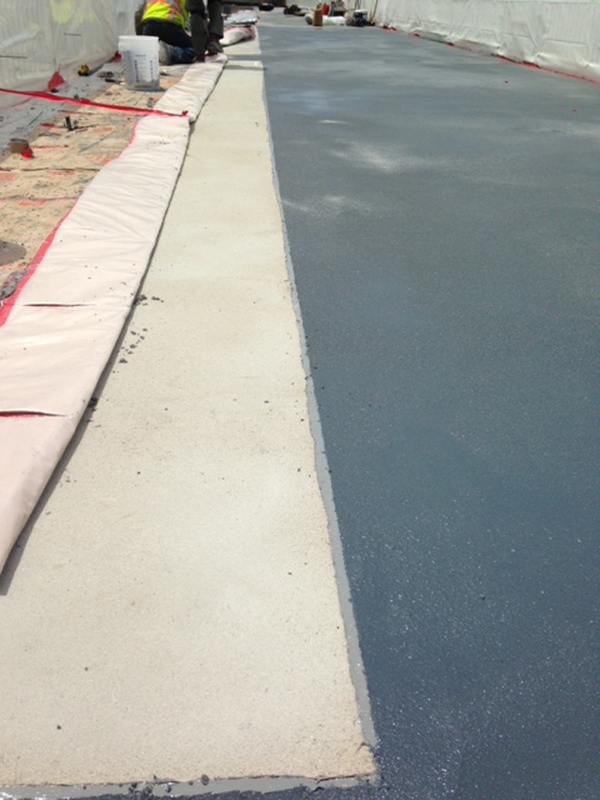 One unique element of the project was that PPC product was colored polyester concrete, and within each of the 60 panel sections there were two different colors. The colors were light grey and dark grey, with the dark grey forming a “horseshoe” configuration around the light grey. Also included in the project scope was the installation of Type-A joint seal between the 60 panel sections.